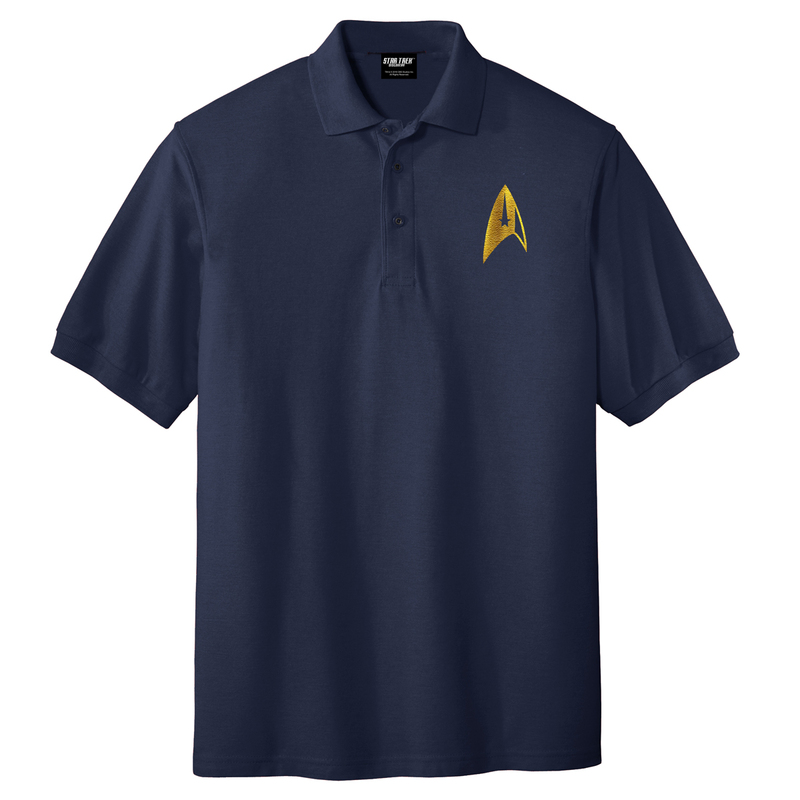 Show your Star Trek pride on the course or in the office with the Star Trek Discovery Command Badge Polo. This polo has an embroidered sleek gold delta shield on the left chest. 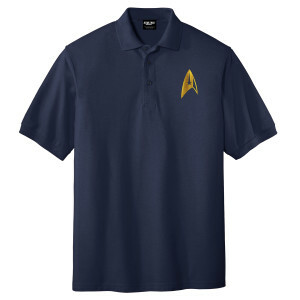 Get this polo for any Star Trek fan. Beautiful shirt. Well-made. Tasteful. My son loved it!! Fit and quality of the shirt is very good. Makes me feel like I'm in Starfleet! I love it!